Damit Sie dieses eBook auf möglichst angenehme Art und Weise lesen können, stellen wir es in verschiedenen Formaten zur Verfügung. Drücken Sie auf einen der folgenden Links, um das eBook herunterzuladen. Aktuelle Versionsnummer: 1.0 für alle Formate. For an assignment on my job, I had to compute distances from a couple dozen locations in Japan (which I will call “source locations” in this article) to all postal codes that exist in Japan. Japan has approximately 123,401 postal codes, and we don’t want the straight line distance, but actual routes. So what do we do now? There’s no clear answer, but you may find an idea or two after reading this article. “Geocoding” refers to the conversion of addresses to latitude/longitude pairs. In our case, (disregarding the couple dozen source locations,) addresses consist of only a postal code (and the country, which is the same for all addresses). Unfortunately, there is no publicly accessible database that matches postal codes with latitude/longitude pairs. (For Japan, at least. Maybe you’ll find that such a database exists for your country.) You could, however, cross-reference data from this database from the Ministry of Land, Infrastructure, Transport and Tourism and this one from the Japan Post website, but realize that this would be very hard because of differences in the spellings of names (e.g., 旭ヶ丘 vs. 旭ケ丘 and オシツクシ vs. 白糠町). It’s best to buy a database, especially if you’re doing this for a company. 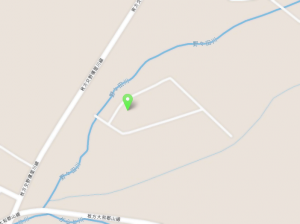 GeoPostcodes is one company that sells such databases, and at the time of this writing, the database for Japan costs €69.95. You could also scrape the Google Maps API, but that would violate Google’s terms of service in most cases. You’d also be limited to (currently) 3,000 queries per IP per day. (You could also get access to the enterprise version for $10,000 per year. You’d still be limited to 100,000 requests per day. Hmm. I wonder if you’re allowed to resell your access.) At the time of this writing, you probably won’t find a geocoding API that will let you do this both comfortably and without violating its terms of service. OSRM is the clear winner here. OSRM manages to calculate even long routes within a few milliseconds. However, you’ll need some dead-serious hardware to convert OpenStreetMap data to a format OSRM can use. The conversion tool ended up using about 30 GB of memory (if I remember correctly) to convert OpenStreetMap data for Japan. OSRM by default returns JSON, and will by default return alternate routes in addition to the route it deems fastest. By the way, calculating all routes took less than half a day (using ~24 not-too-modern Opteron cores). We can fix a large number of these broken routes by calculating routes to points in the vicinity of the latitude/longitude pair in question. I chose to check the points 200 m to the north, south, west, and east, and if that failed, incremented the distance to 400, 600, 800, and finally 1,000 m. This reduced the number of broken routes to 1,411. So what do you do with the remaining 336 postal codes? That’s up to you to decide. I suggest trying mapquest open. There are buildings in Japan that have multiple postal codes, e.g., one for each floor. The term “ZIP code” only applies to postal codes in the US. “ZIP” is short for “Zone Improvement Plan”. You can read all about it in the Wikipedia article. The number of Japanese postal codes changes (very slightly) every month. 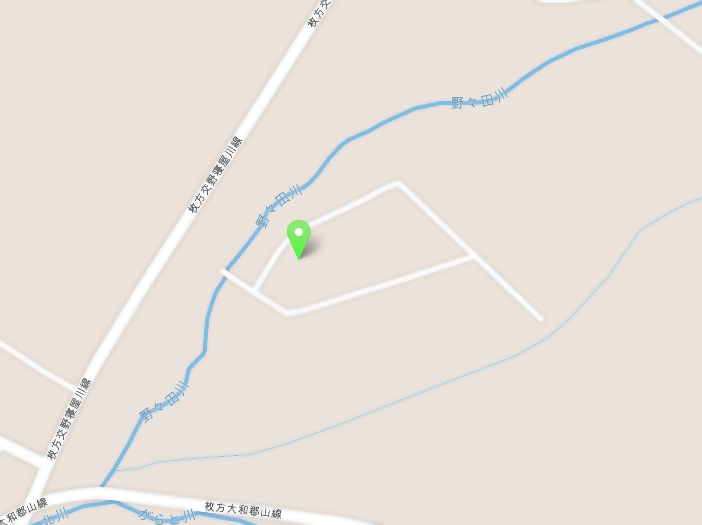 (You can find a CSV file that matches postal codes with addresses on the Japan Post website. There you’ll also find small files that contain the updates to this database.) Codes get added, deleted, and re-assigned. If you have any questions, feel that I’ve left out something important, know of any reasonable alternatives to using OSRM for this, or just found this article helpful, please leave a comment! And if you need distance tables and don’t feel like calculating them yourself, feel free to ask me. I’ll probably manage to get them calculated for you very quickly (for a very modest fee, which mostly depends on if I need to buy external databases). Wow, my first post about Japan! I like it here, but unfortunately, I don’t have anything particularly wonderful to relate to you today. In fact, this might very well come across as a complaint! As you might have guessed, there’s something about this recent experience that I haven’t told you yet. You can apparently buy commuter passes at ticket vending machines, but I opted to buy mine at a JR ticket counter. Mostly because I didn’t want to make any mistakes. And who knows what might have happened, because I have a special Suica card that you can only get when you buy a Narita Express+Suica bundle. (It looks much better than a regular Suica card.) Anyway, the woman at the ticket counter told me that I have to buy a regular one; special ones can’t be turned into commuter passes. There’s a ¥500 fee, but you get those ¥500 back if you decide you don’t want your card anymore. So no problem there. One more thing: I need my commuter pass for four months, and you can only buy commuter passes that are valid for 1, 3, or 6 months. So I had the choice between buying a one-month pass first and a three-month pass later, buying both at the same time, or buying a three-month pass first and a one-month pass later. If you ever find yourself in a situation like this, definitely buy the one that’s valid for the shorter period first. That way you can maybe switch to a different route later, or maybe you’ll realize that you’ve been scammed somehow. Who knows, right? The night I bought the ticket, I met up with a friend in Shinbashi, which is on the Yamanote line, but not between Shinjuku and Shinagawa. (It’s three more stops from Shinagawa.) I sort of had a feeling that I was going to be disappointed with the way your fare is handled when you want to go a couple stations farther than your commuter pass is valid for, and my hunch was right: you pay the full fare from the station where your commuter pass ends to the station you get off, which means paying ¥150 for a trip from, e.g., Shinjuku to Tamachi, which is one stop farther than Shinagawa, even though the normal fare from Shinjuku to Tamachi is ¥190. So you’ve already got a ticket that covers 82.8% of the total distance of your journey, but you have to pay an extra 78.9% for the remaining 17.2%. Careful readers might have noticed that the fare from Shinjuku to Tamachi is the same as from Shinjuku to Shinagawa. When I got home the night I bought the ticket, I decided to check what a commuter pass from Shinjuku to Tamachi would cost. And amazingly enough, the price is exactly the same. In fact, the price is the same or less, almost no matter where you want to go on the Yamanote line. (However, since the Yamanote line is a loop line, you won’t be able to get off for free at any stations on the opposite semicircle.) I would have expected someone who sells commuter passes to tell customers about this, and feel that it’s borderline fraud not to do so. Expensive fares* and packed trains had me slightly miffed at Japanese railway companies before this, but this time I’m fairly annoyed. * What in the world do they do with all that fare money? By the way, according to this article, approximately one passenger per car is enough to cover the electricity bill for trains. It turns out that at least one person has written an online tool that tells you how to buy your commuter pass: http://teiki.mooo.com/ (Japanese) This site also includes a tool that searches for regular, non-teikiken routes for Tokyo and Tokyo’s suburbs. For one-way trips, it’ll normally produce the same output as Yahoo!, (with the 表示順序 (hyōji-junjo, display order) set to 料金が安い順 (ryōkin ga yasui jun, order by fare, cheap to expensive), except that Yahoo!’s route calculator sometimes won’t give you the cheapest route if it decides that the next time this route is available is too many minutes in the future… However, especially for round-trips, it’s sometimes cheaper to get a day pass, and teiki.mooo.com will tell you when that is the case. My commute is two hours every day. Once I’ve reached Shinjuku, it feels like I’ve practically almost reached my workplace. How does one survive a two-hour commute? By sleeping, of course! Unfortunately, there usually aren’t any seats available where I get on the train. So what do you do in this case? You stand next to somebody who’s wearing a high school uniform. These people don’t have long commutes, and you’ll be able to get their seat after a couple stops! By the way, I used to use a different, slightly faster route that pretty much guarantees that you’ll get a seat. Unfortunately, the company I work for only pays for the cheapest route available. Another by the way: the one-way tickets are only an extra ¥20 for this route, but the commuter pass is an extra ¥8,000. Similarly, there is a route that is ¥30 cheaper than the route via Shinjuku, but the commuter pass is an extra ¥7,000… (Its trains are also extremely packed.) By the way, if your company says they’ll pay for a commuter pass, they’ll probably also pay for one-way tickets before you manage to get your commuter pass. Use that time to find a decent route! If they don’t, figure out how much you save if you had a commuter pass, and if using one-way tickets for a while isn’t that much more expensive, consider using these for a while. Now I’d like to share one more mind-boggling tidbit: let’s pretend we’re taking a train from Odawara to Shinagawa. Let’s not take a look at the cheapest route, which uses the Odakyū line, but rather JR’s Tōkaidō line via Yokohama: ¥1,280. Now let’s see how much we pay if we change to the Keikyū line in Yokohama: ¥1,240. Next we’ll look at the Tōkaidō line’s fare from Yokohama to Shinagawa: ¥280. Now you’d naturally expect the Keikyū line’s fare from Yokohama to Shinagawa to be less than that, wouldn’t you? Sorry to disappoint you, but it’s ¥290! And here’s the explanation (Japanese). There’s one more thing to add about the route from Odawara to Shinagawa. If you want to buy a teikiken, it’s cheaper to get a 分割定期券 (bunkatsu teikiken, split commuter pass). This basically divides your route into a part from Odawara to Yokohama, and a part from Yokohama to Shinagawa. You can put this on a single Suica card, though the person at the counter might tell you that is not possible, if he or she is slightly inexperienced. Well, okay, it used to be impossible. Anyway, you don’t have to get off and on again at Yokohama, you just stay on your train. However, if you want a commuter pass from Odawara to Shinagawa, you might want to decide against a split one, because you can’t combine these with 特急料金回数券 (tokkyū ryōkin kaisūken, kaisūken: usually 11 tickets for the price of 10, or 10 tickets for a cheaper price; this kaisūken is an add-on to your normal teikiken, and covers the price difference for the shinkansen (tokkyū ryōkin)). And if you do commute from Odawara to Shinagawa, I am sure you will want to use the Shinkansen occasionally. (The kaisūken is ¥9,500 for 10 tickets.) I like this. The JR are doing something right for once! By the way, the tokkyū ryōkin for this route is ¥1,680, so this kaisūken is way better value (about 43% off) than when you buy 11 tickets for the price of 10 (about 9% off). Okay, one more annoyance that I’ve accidentally discovered: if you enter Akihabara station, realize that you actually need to get on the train from Iwamotochō, and decide to use the exit closer to Iwamotochō station on your way out of Akihabara station, you’ll get money stolen from your Suica card! Fortunately, the ticket gate will beep and not let you through automatically (if I remember correctly). You’ll have to go the person watching the ticket gates. They’ll tell you that you have to either go back to the exit you came from, or pay (approximately) ¥120 to use this exit. Lovely!